Megan, a Pennsylvania girl, met Jake, an Iowa boy. Both studied music at the University of Iowa. It was a music fraternity party that brought them together. 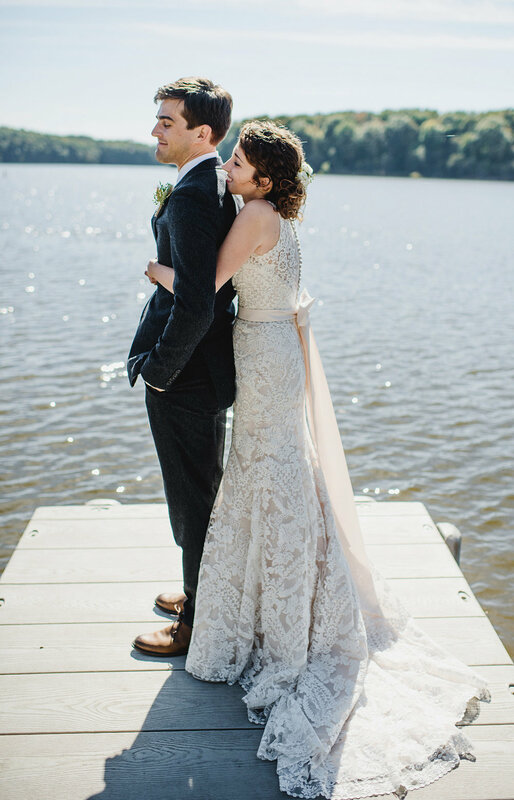 With their families scattered all over the states, they wanted to get married in Iowa City where they had met. 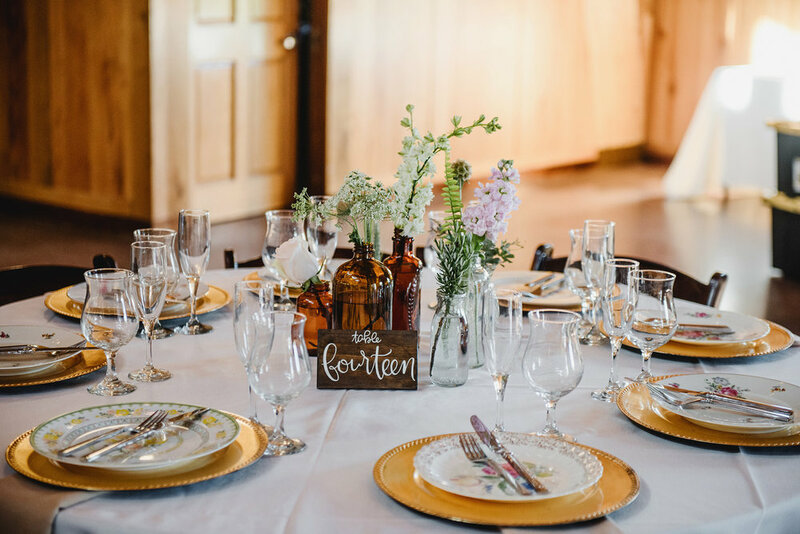 The couple just wanted to make their day fun and easy-going for their guests. Megan’s dad made a giant wooden Jenga set and a toss game of “Bags” for their guests to enjoy. Megan’s mom scoured every garage sale looking for antique glass bottles and centerpieces. 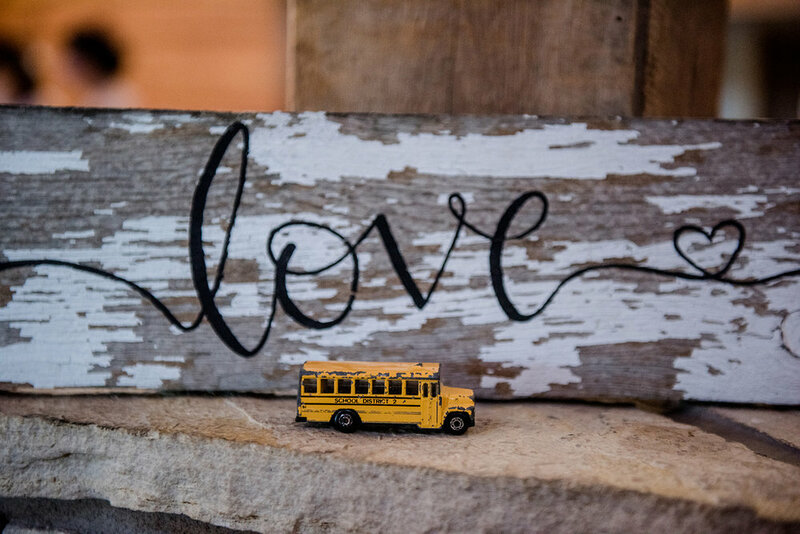 Megan’s dad even surprised her with a momento from childhood, a worn-down yellow matchbox school bus that Megan took everywhere with her. 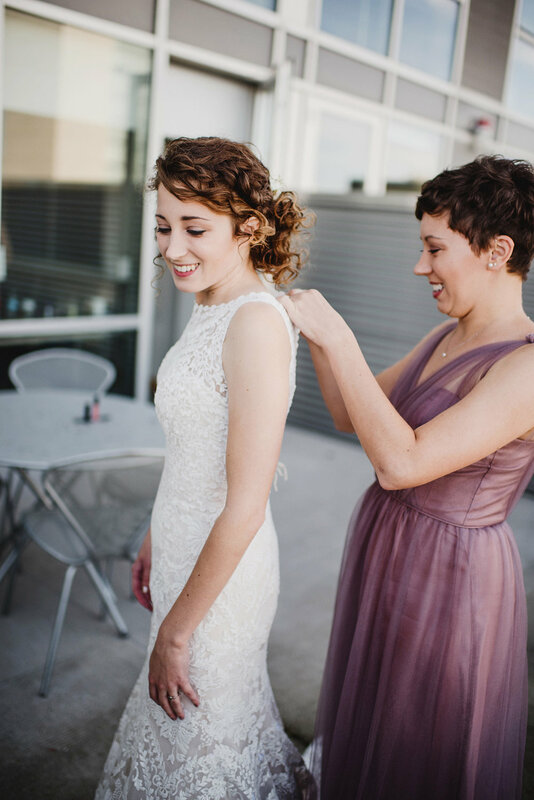 As Megan looked for her vendors, she met Macy with Borrow My Vintage. Then things quickly fell into place. Macy helped her find all the right pieces to bring her eclectic tablespaces together. 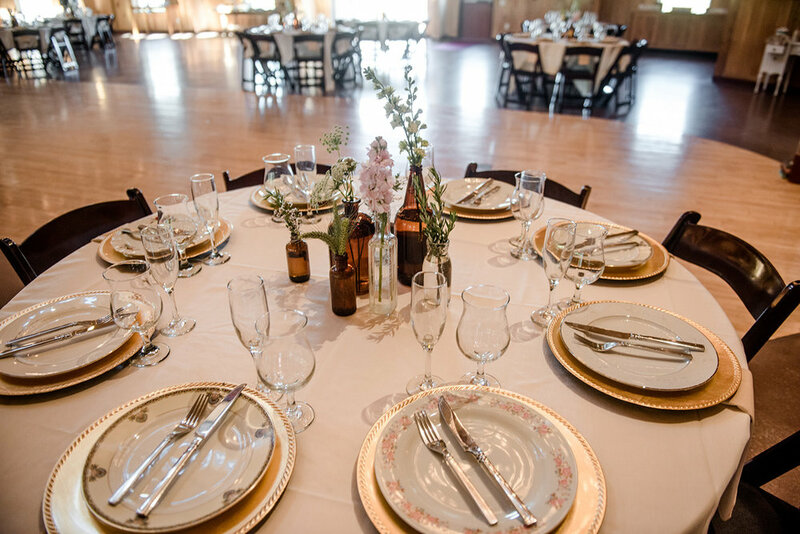 Tiffany, at Studio Bloom, created gorgeous bouquets and centerpieces with tons of greenery texture and soft garden flowers. 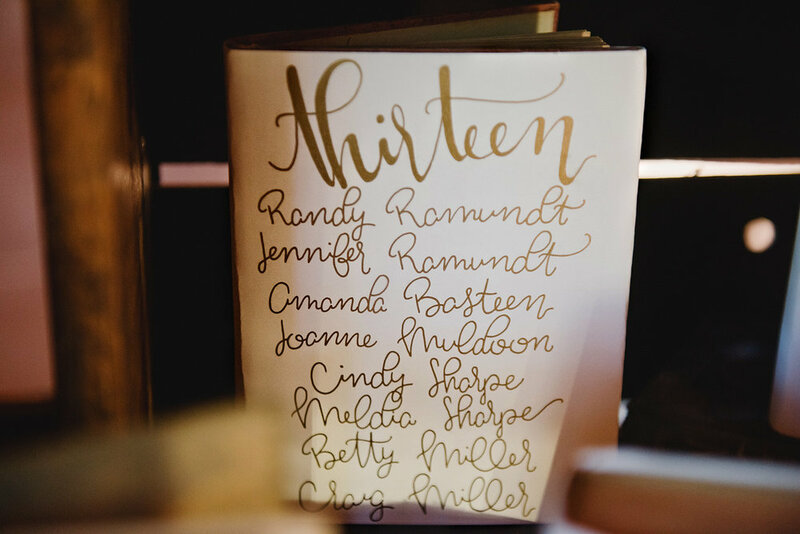 Megan also fell in love with the photography of Amanda Basteen and knew almost instantly that she would be the perfect fit to memorialize their big day. 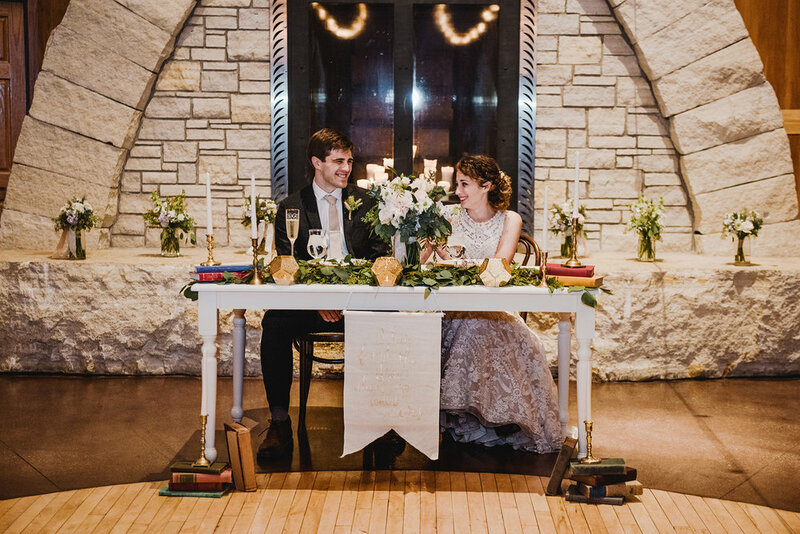 Planning was a little harder since the couple was living in Washington, D.C. Luckily with one trip to Iowa City, they were able to coordinate with all their vendors to taste and consult on all the details. Then everything started to feel much more exciting and real to the couple. 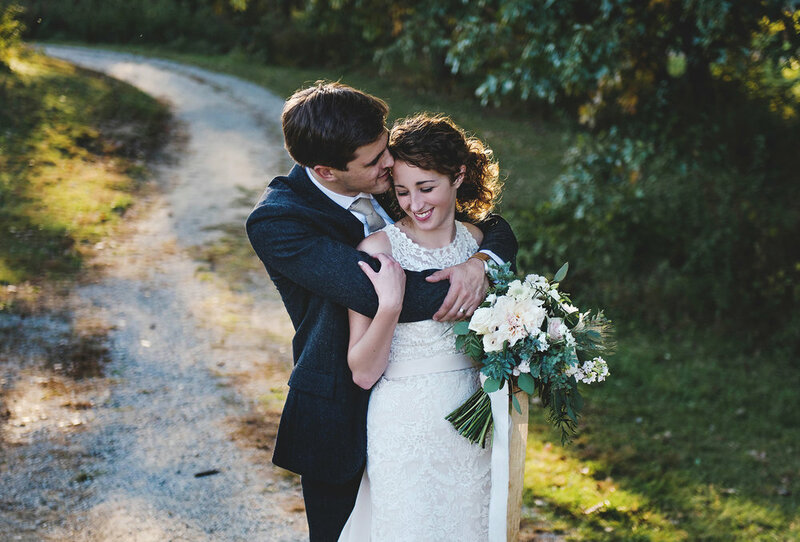 Family did so much for Megan and Jake, of course all the sisters were in the wedding, even helping her with hair and makeup, but also Jake’s uncle traveled from overseas to be their officiant. Jake’s mother even drove their two dogs Peanut and Snoopy all the way from Washington, D.C. to be with them! There was a lot of love at the Celebration Farm that day. 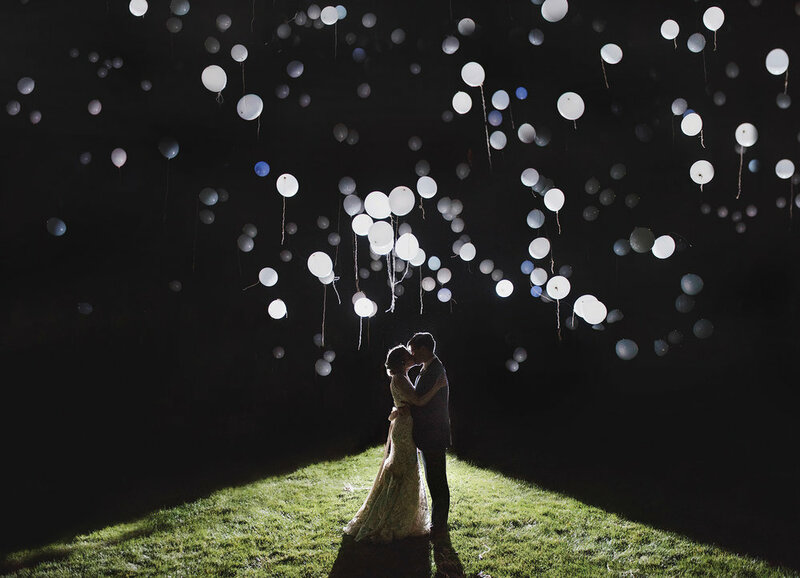 The finale of the night was the release of over a hundred LED balloons to quietly light up the night sky. The perfect ending to a perfect day!